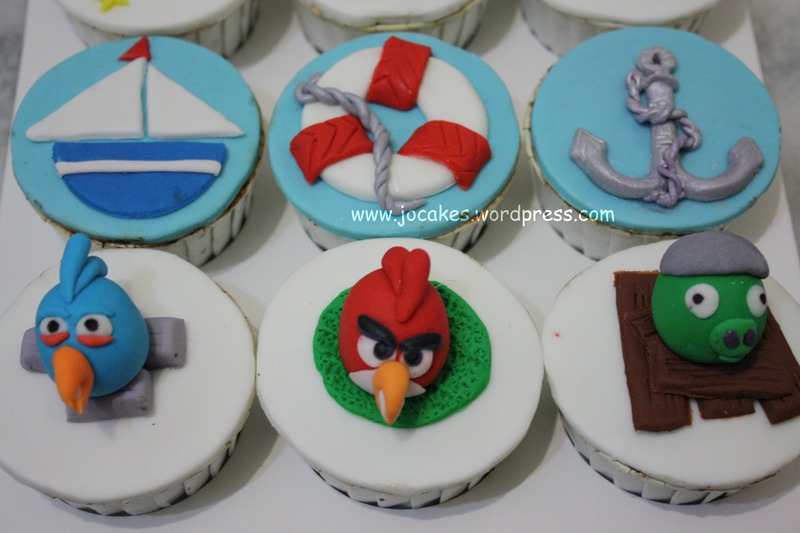 Posted by Josephine Stanley in Angry Bird cakes / cupcakes. 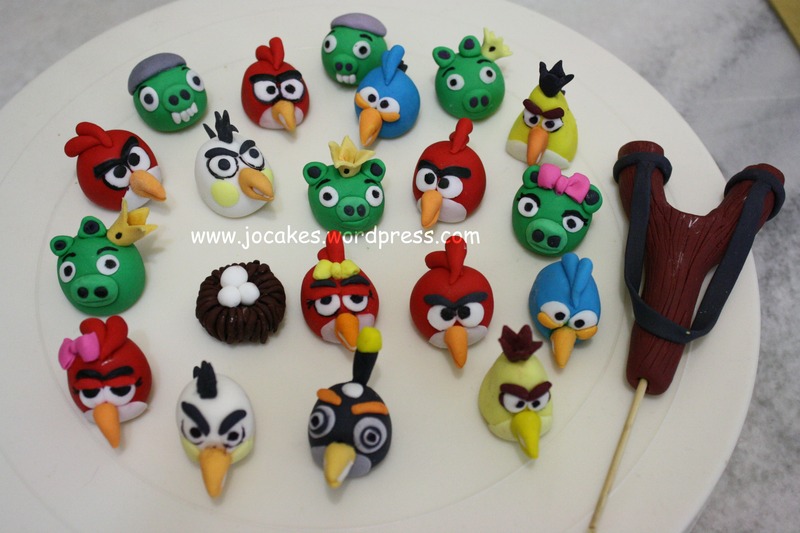 Angry birds cake still a hit in town. 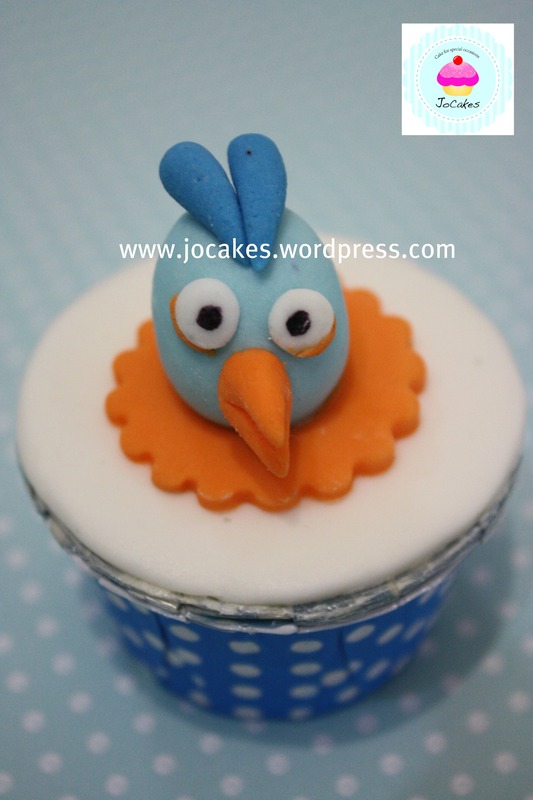 :) Making angry bird toppers ready for the upcoming orders. 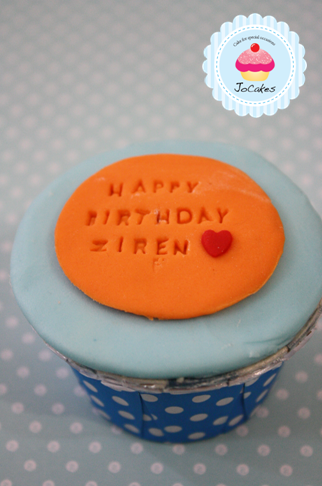 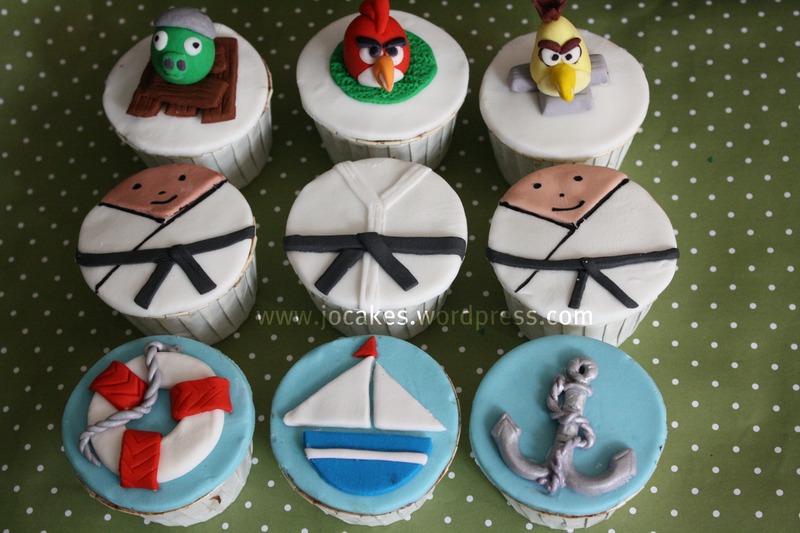 Navy Officer and karate theme birthday cupcakes. 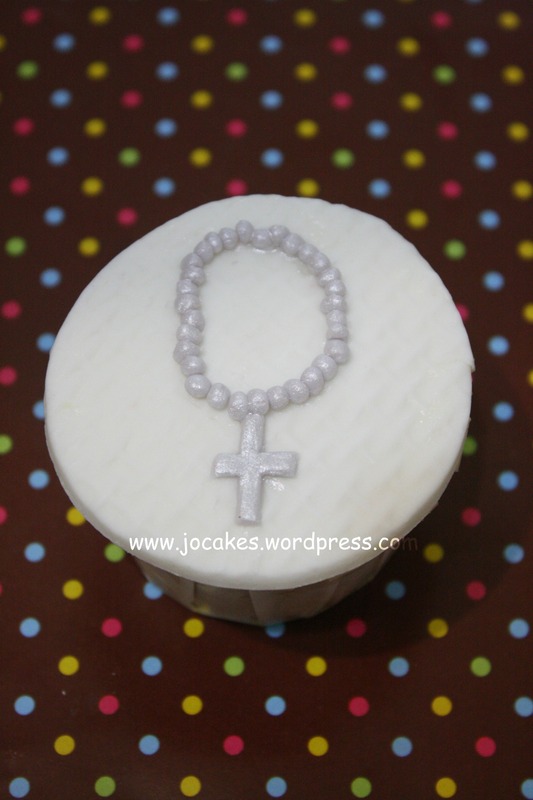 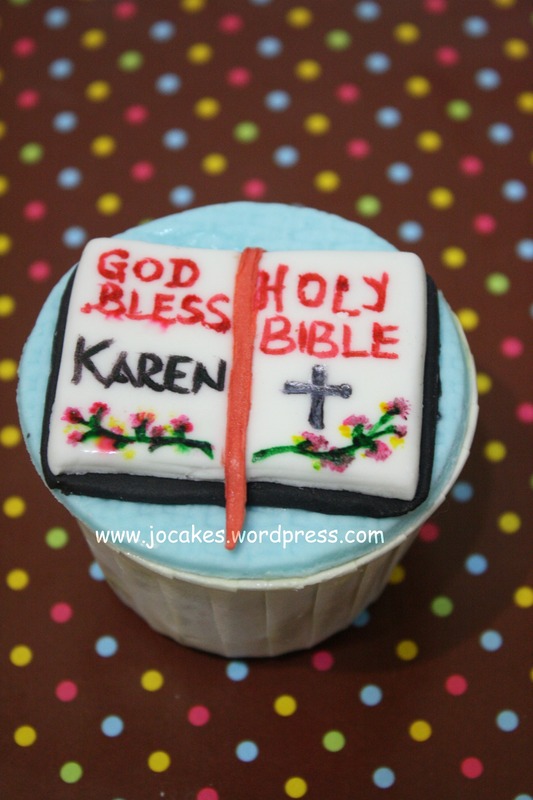 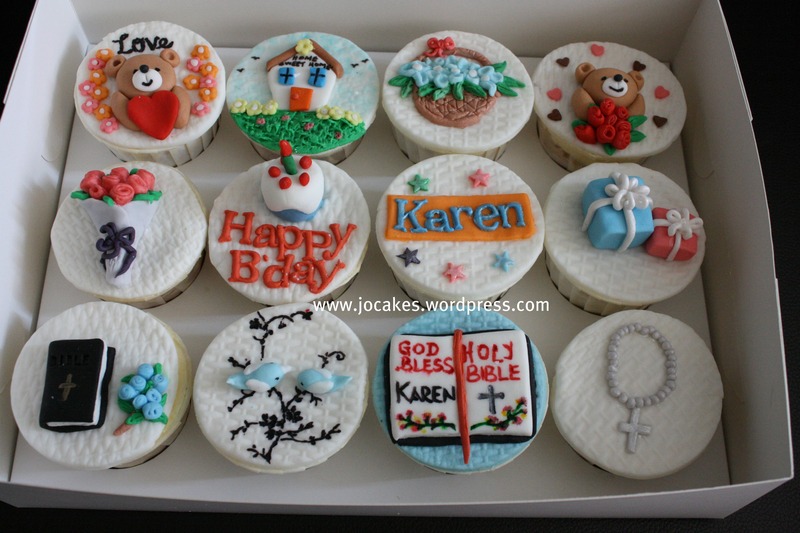 Birthday cupcakes for sister in-law. 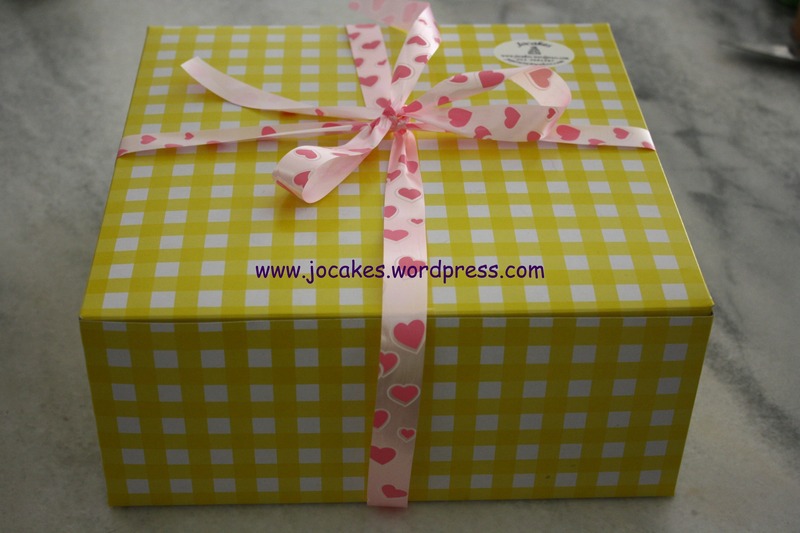 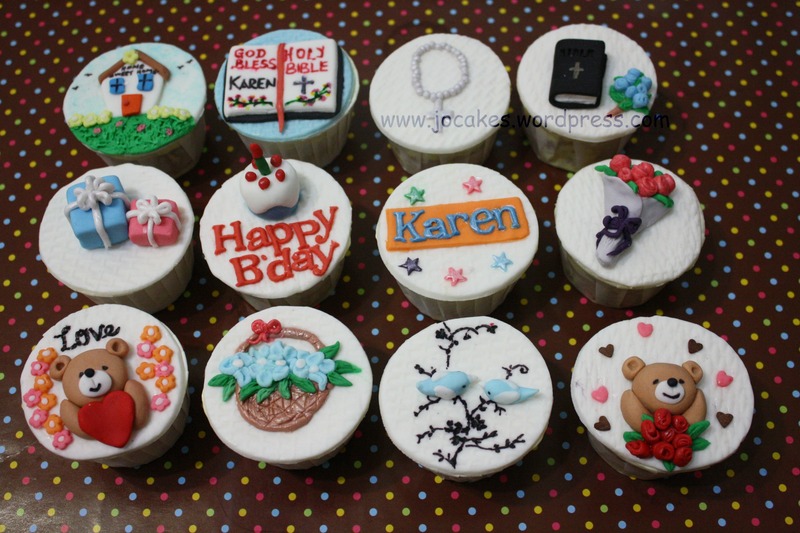 Another order by Ms Elaine for her sister in-law’s who is going to celebrate her 38th birthday. 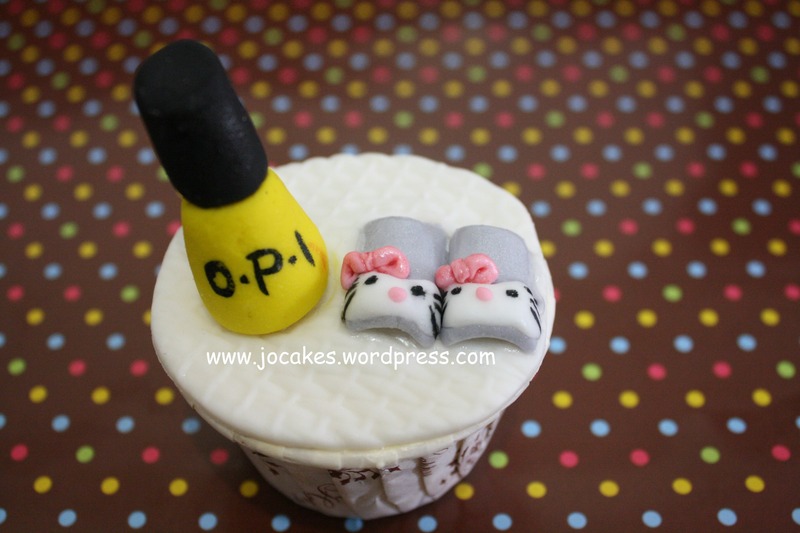 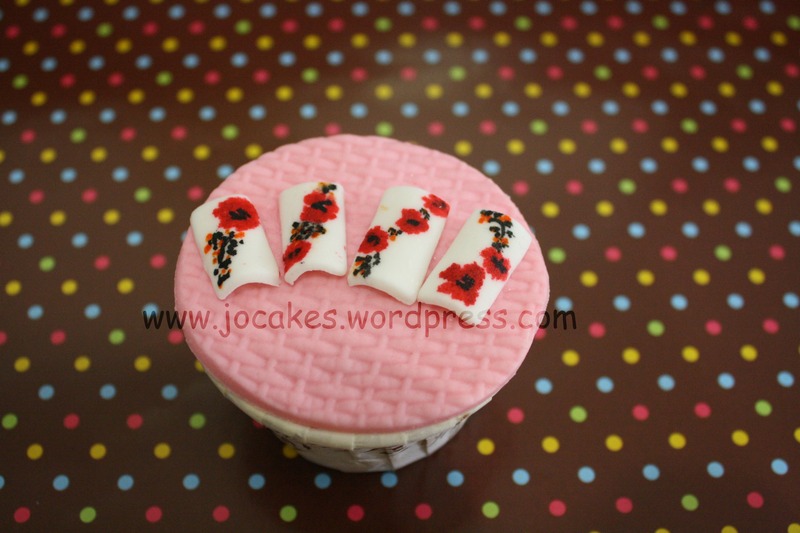 Birthday Cupcakes to cheer a girl who works in a nail saloon. 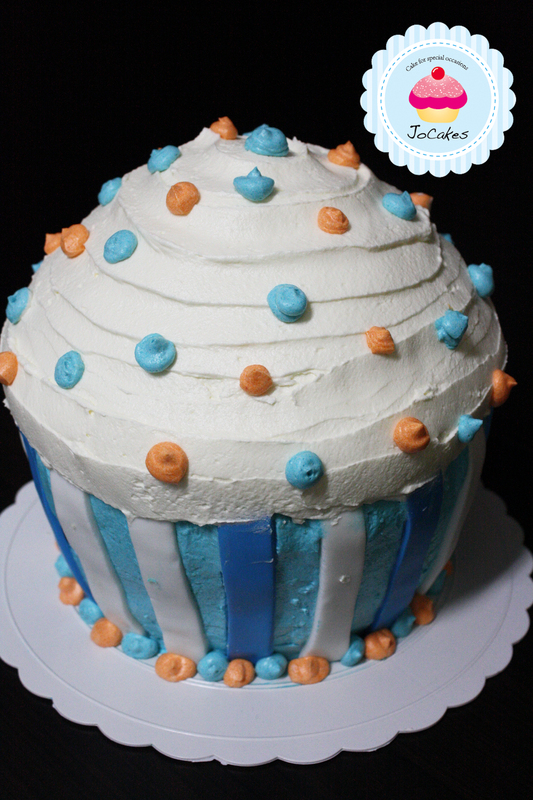 Giant Cupcake for First Birthday Cake Smash Photography . 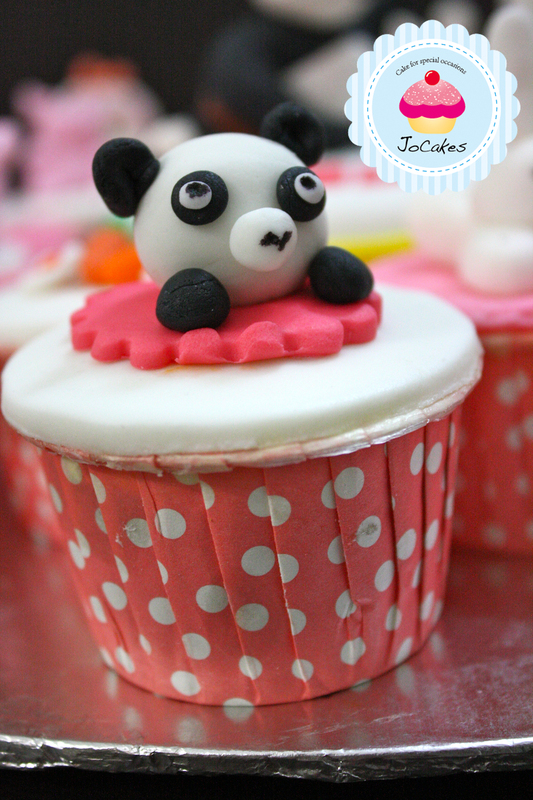 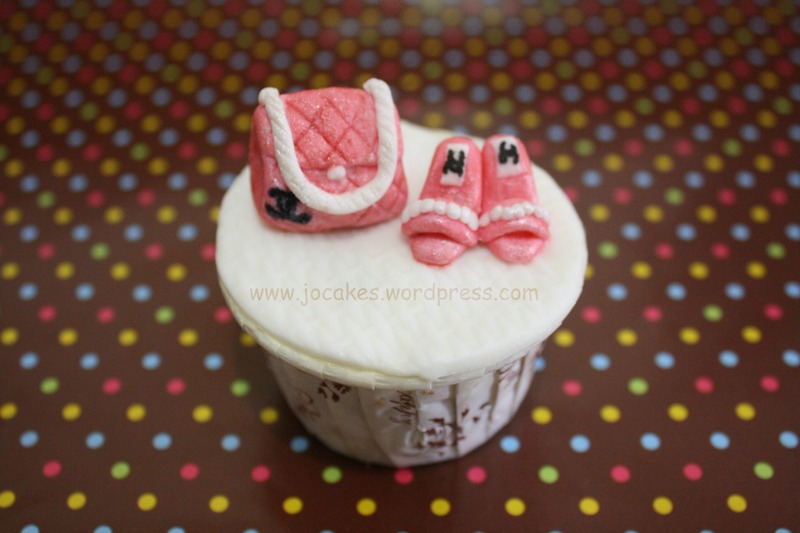 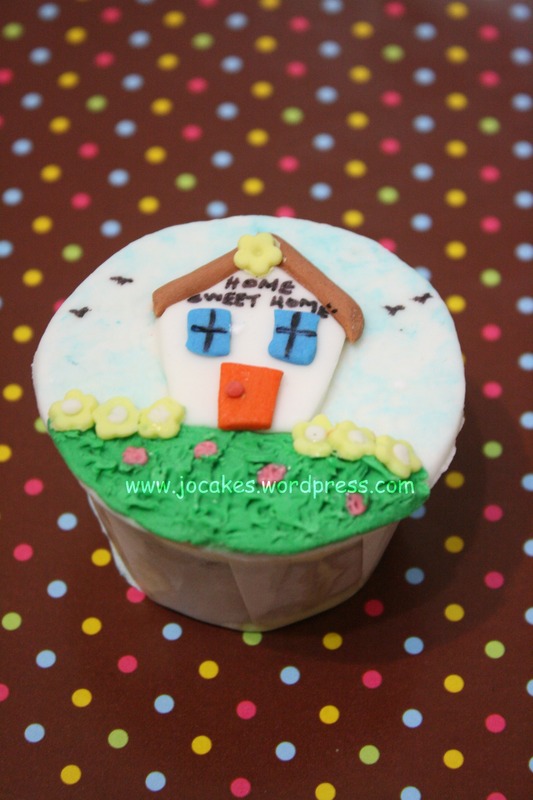 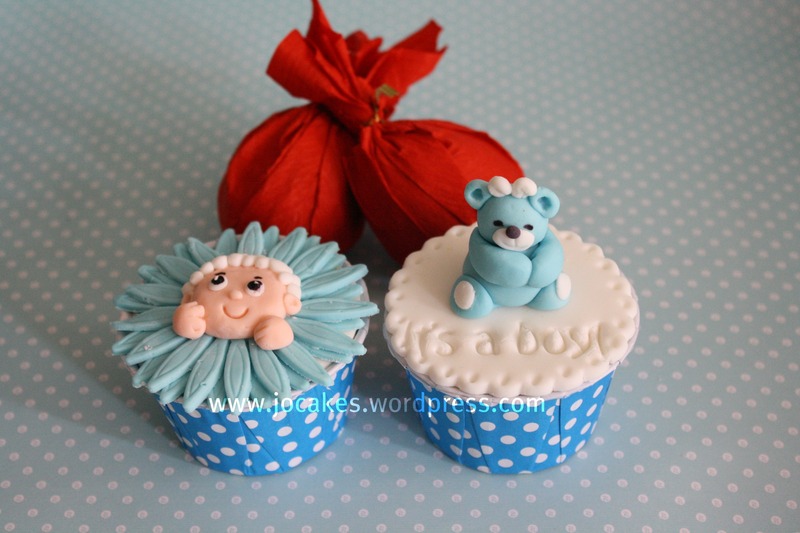 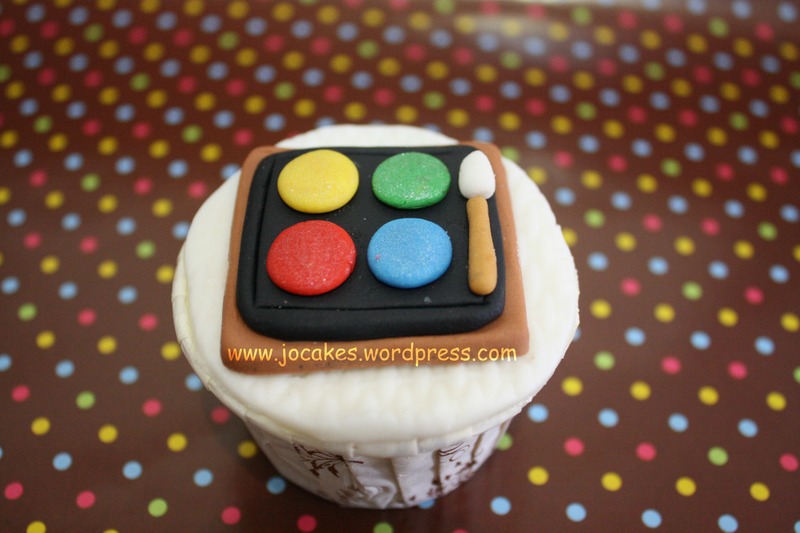 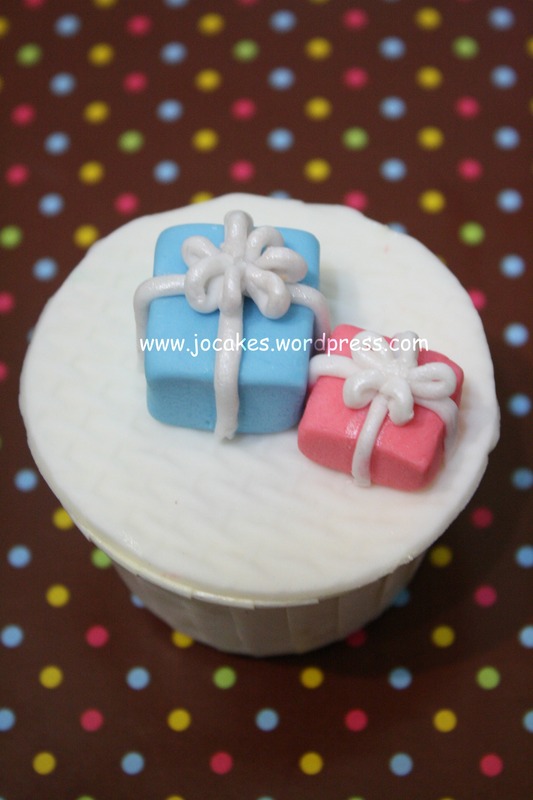 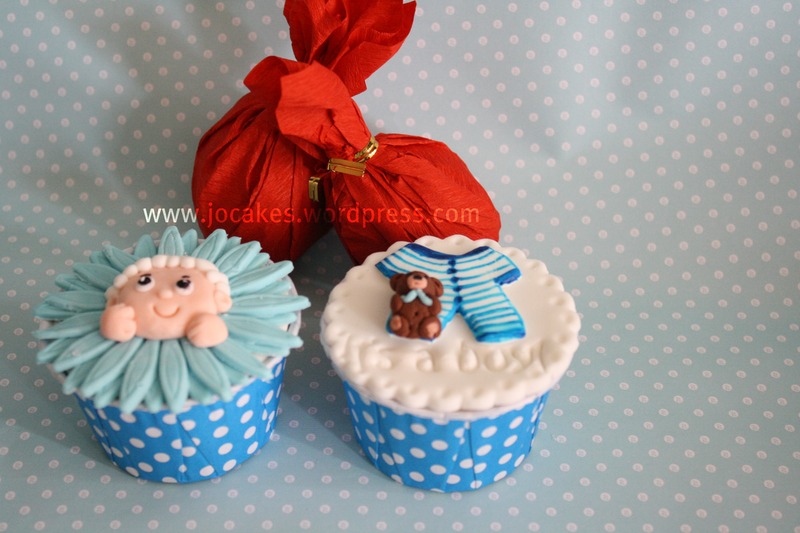 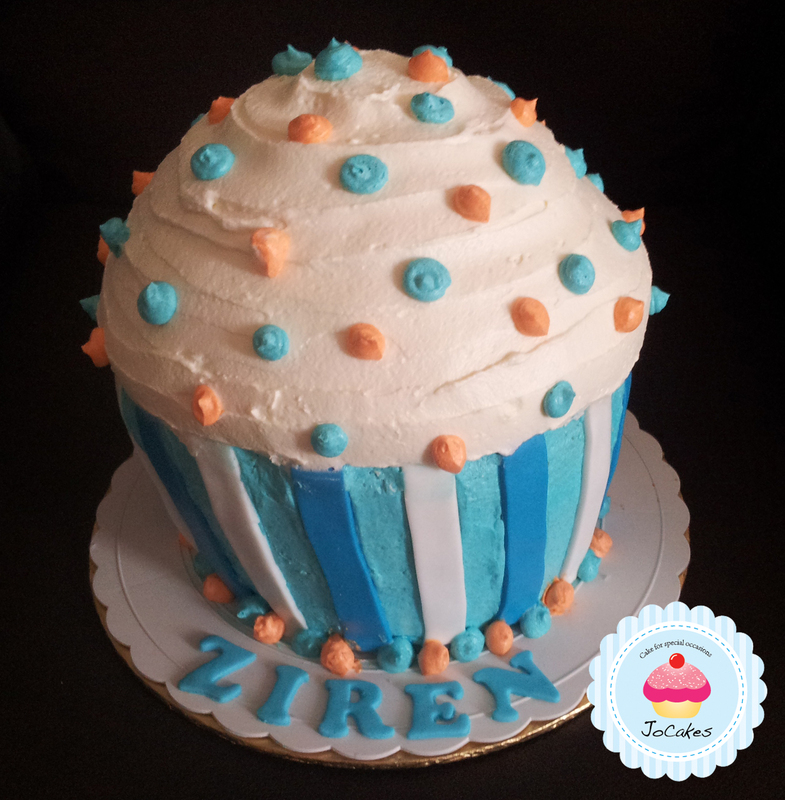 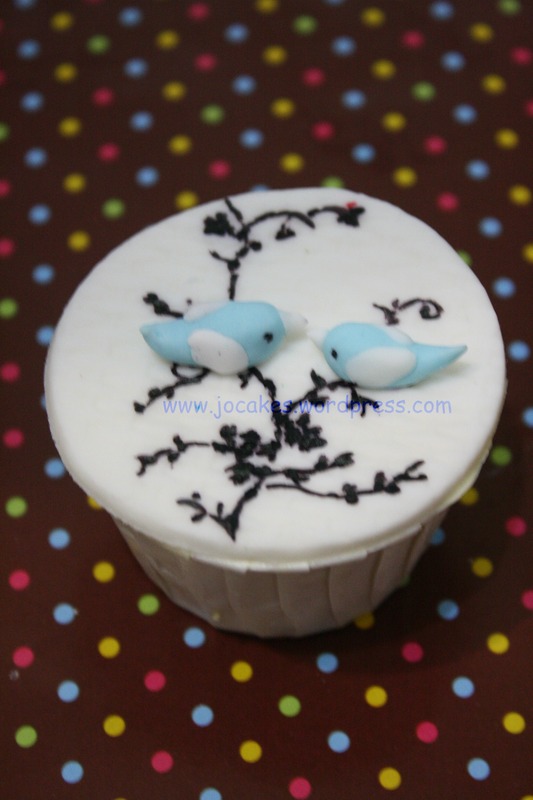 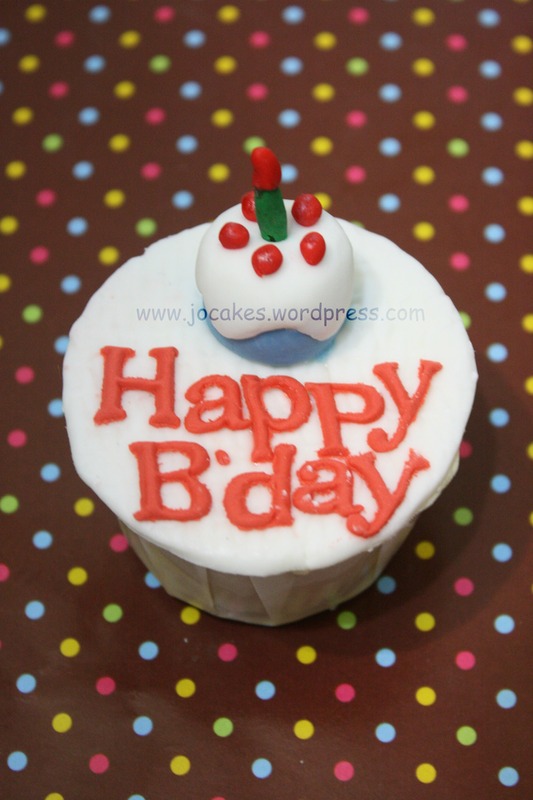 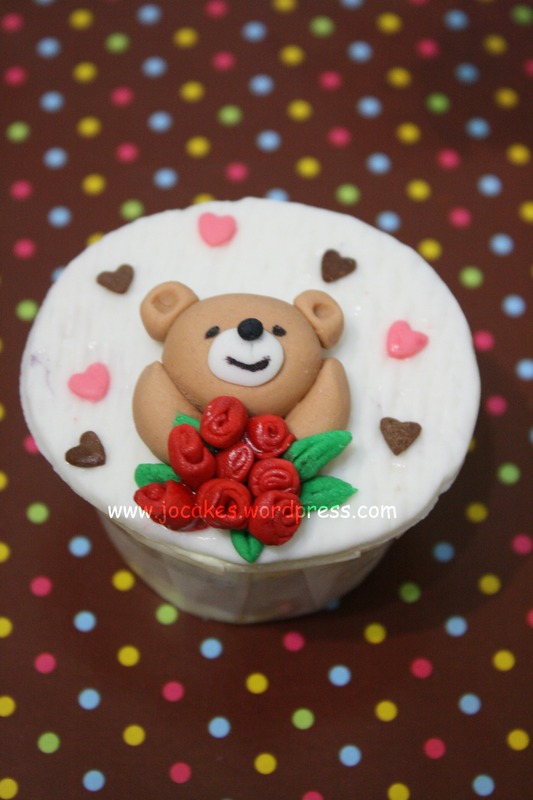 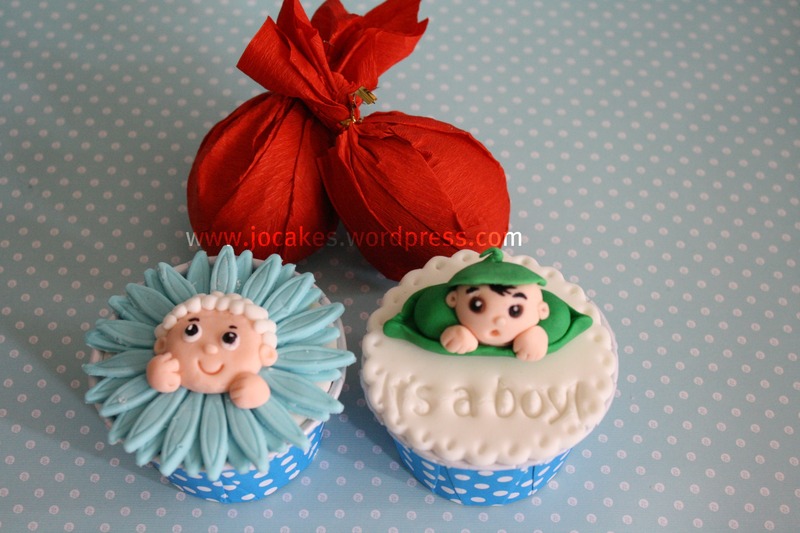 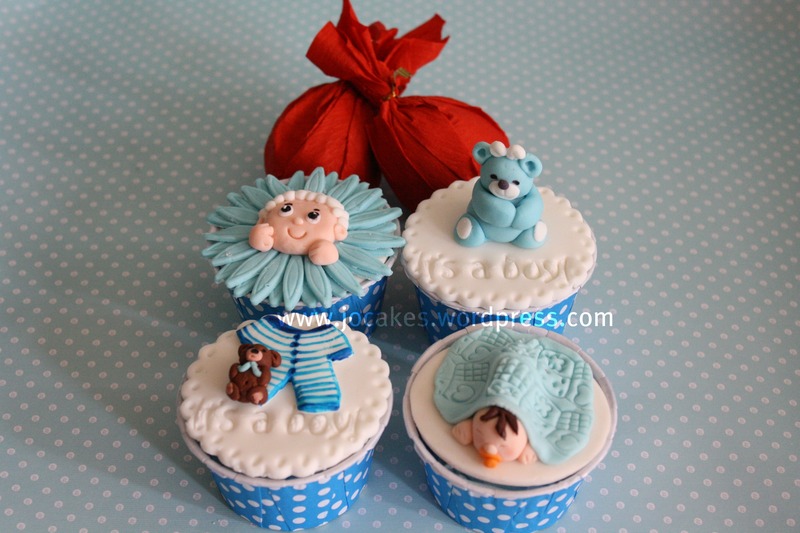 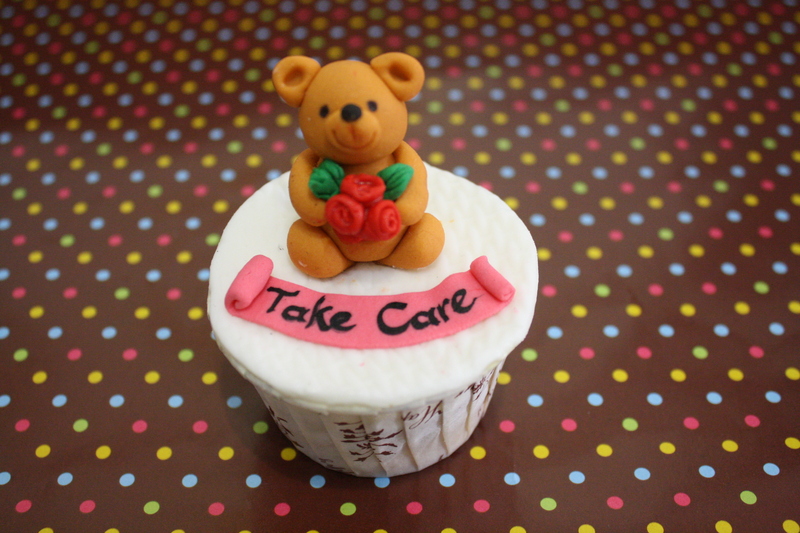 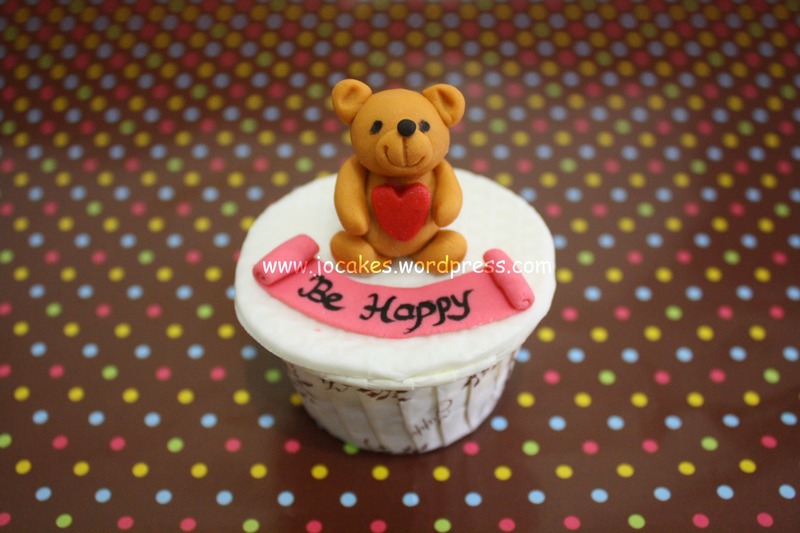 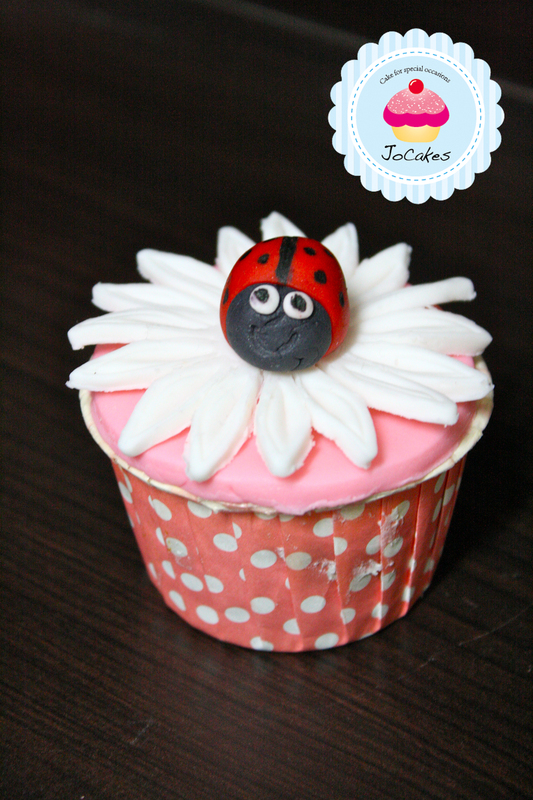 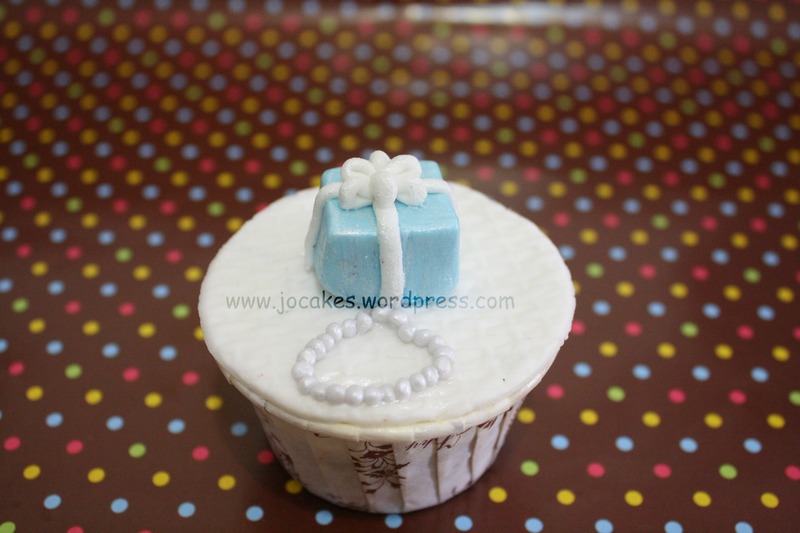 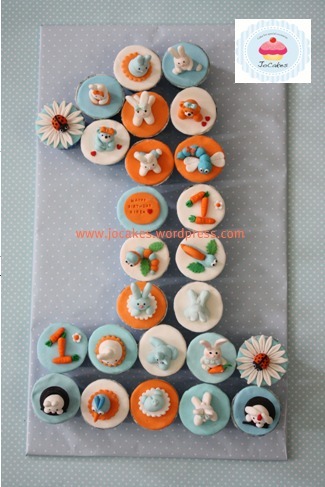 Posted by Josephine Stanley in 1 year old cakes / Cupcakes., Birthday Cakes, Children celebration Cakes, Giant Cupcake. 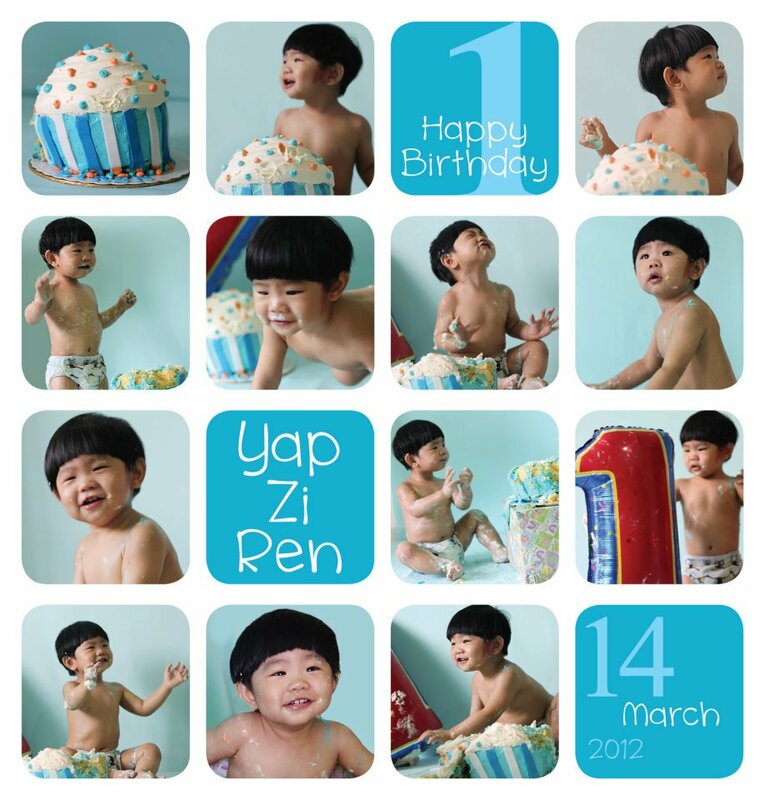 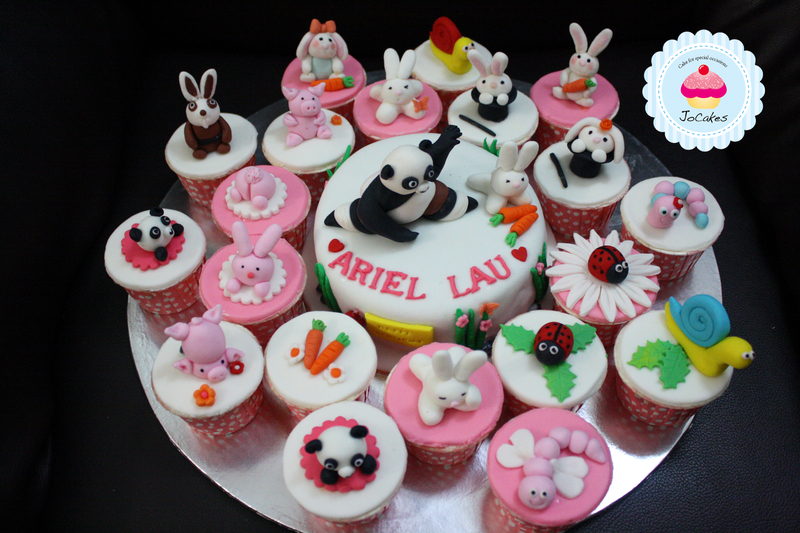 It’s Ariel Lau 1st birthday. 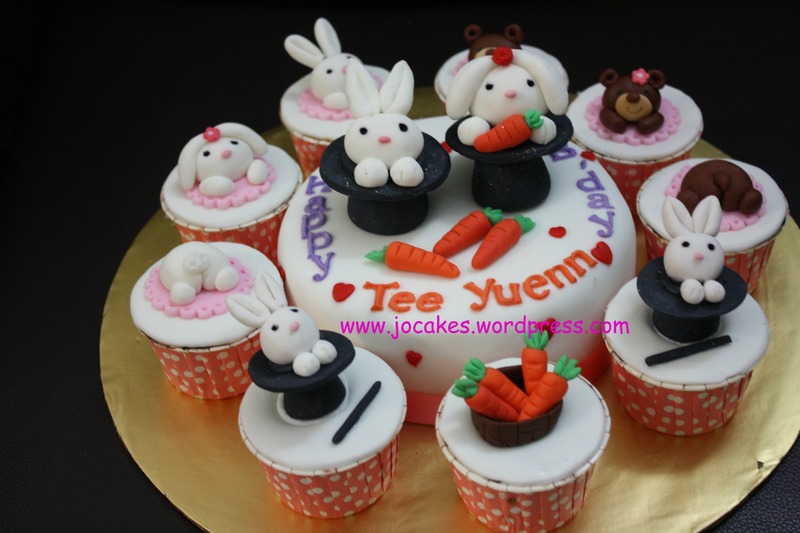 Bunny cake and cupcakes for 1 year old girl. 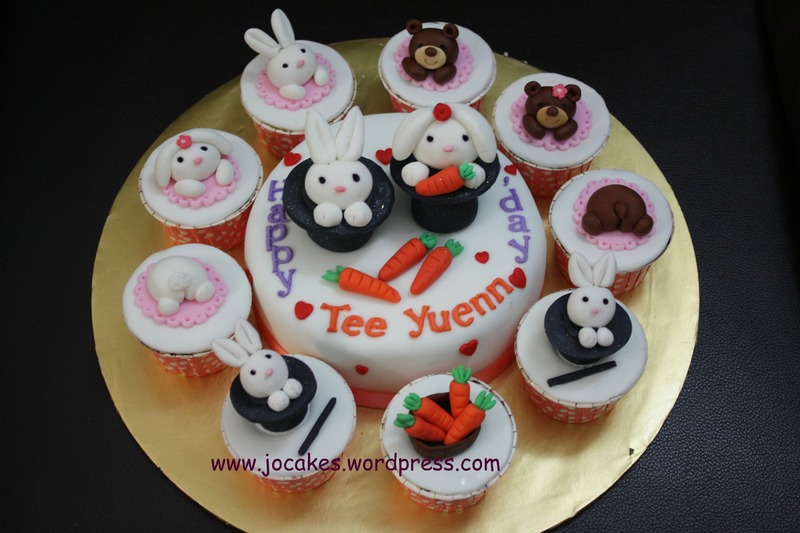 It’s Tee Yeunn’s first birthday party. 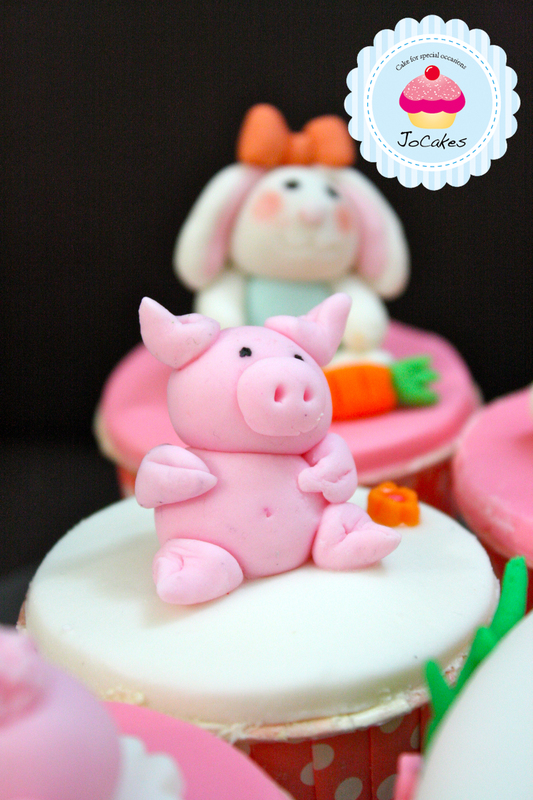 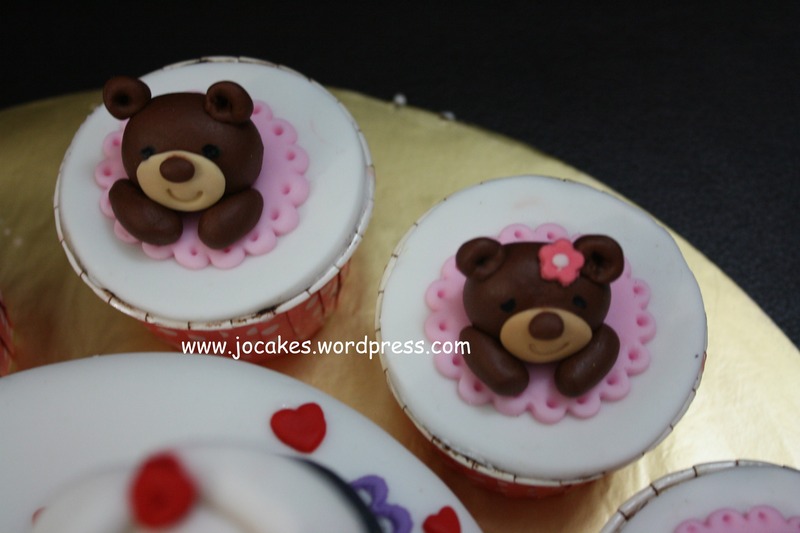 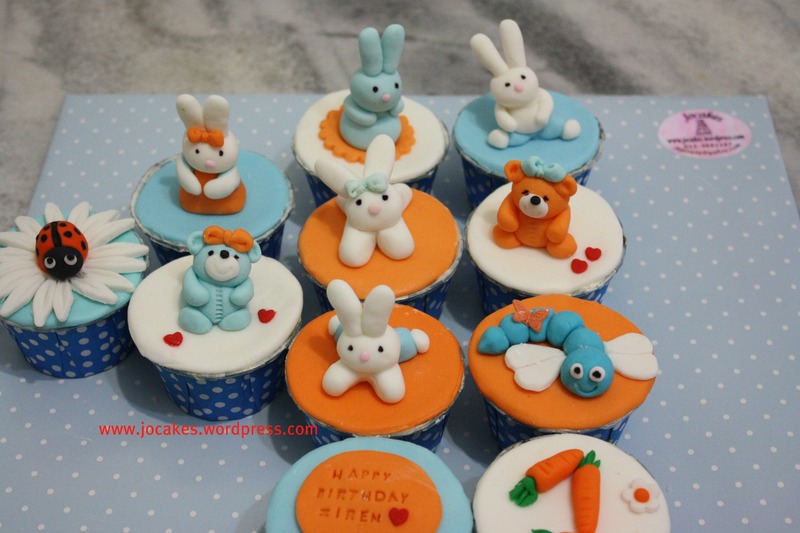 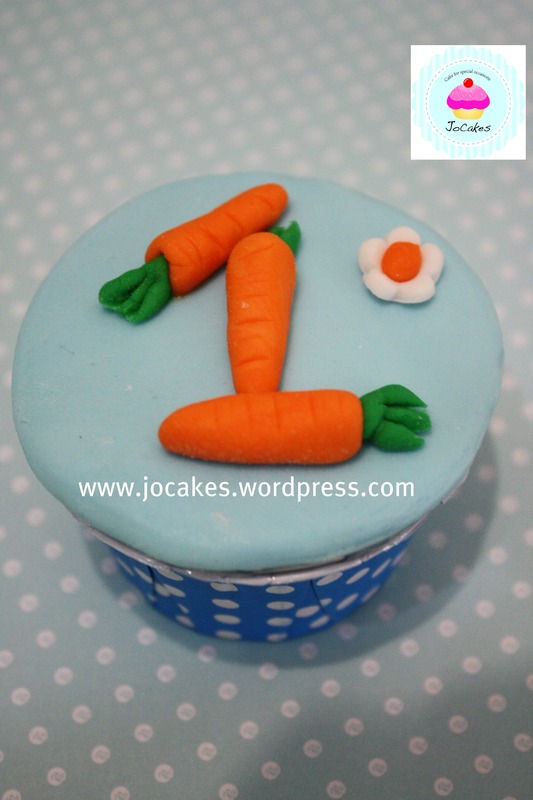 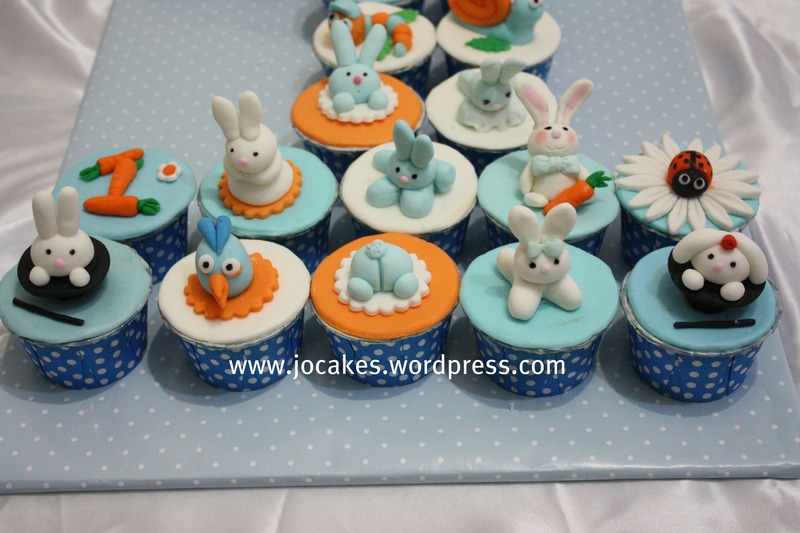 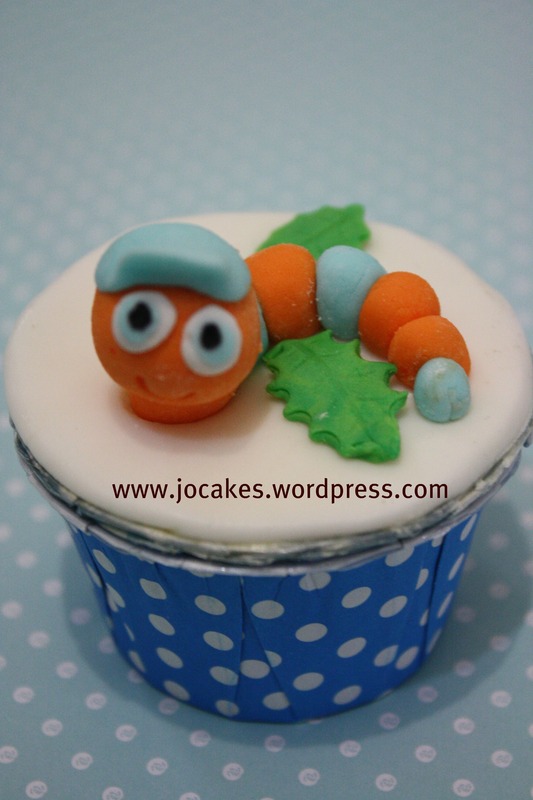 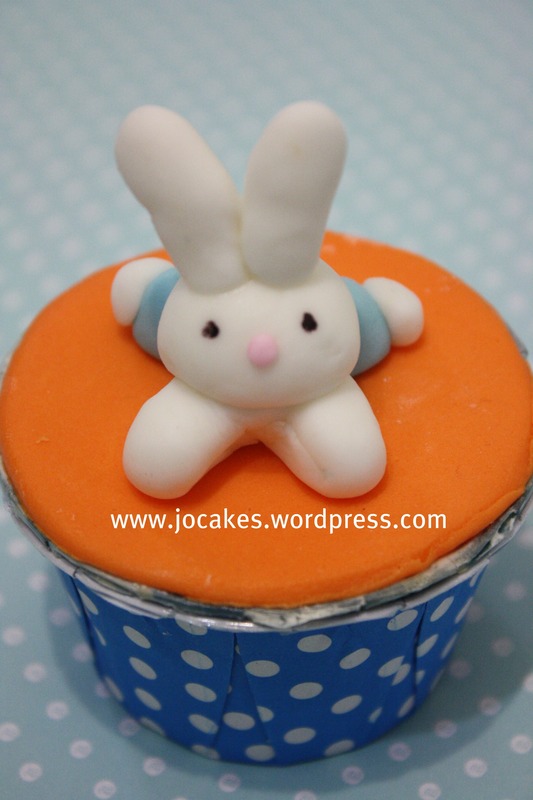 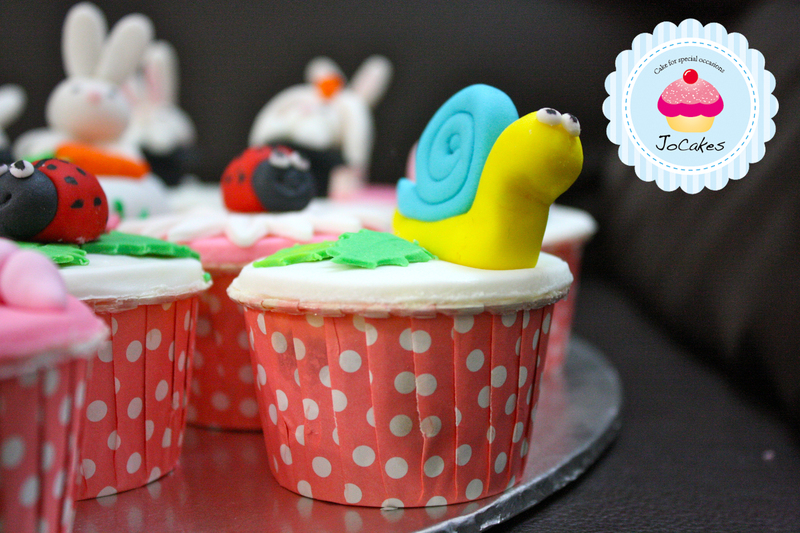 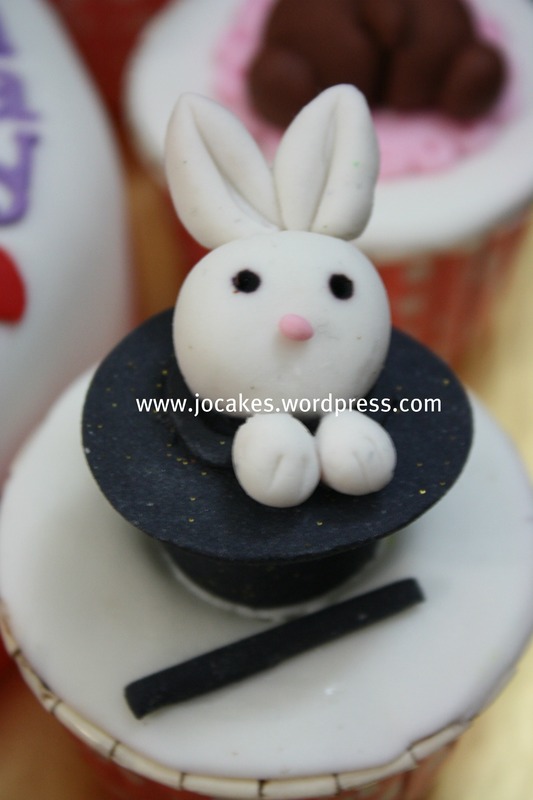 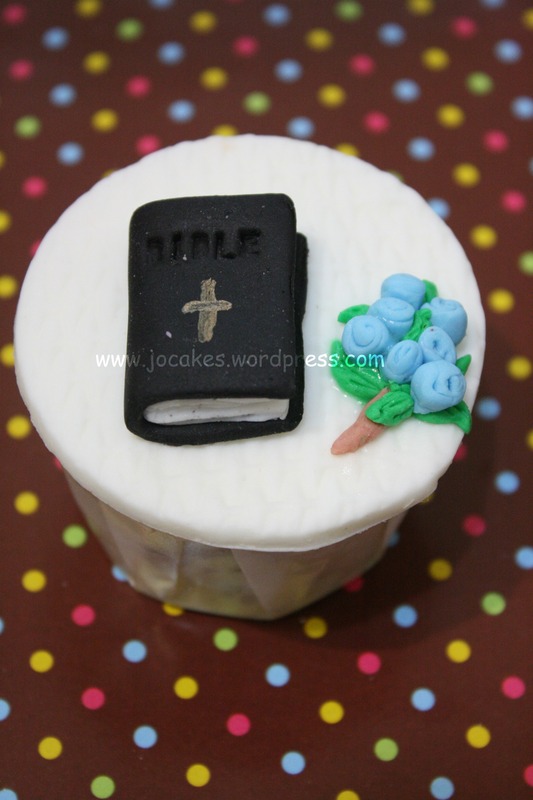 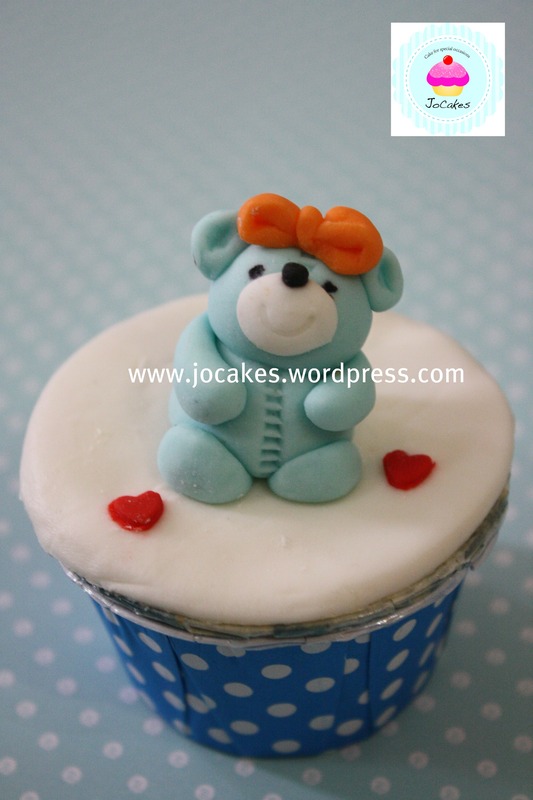 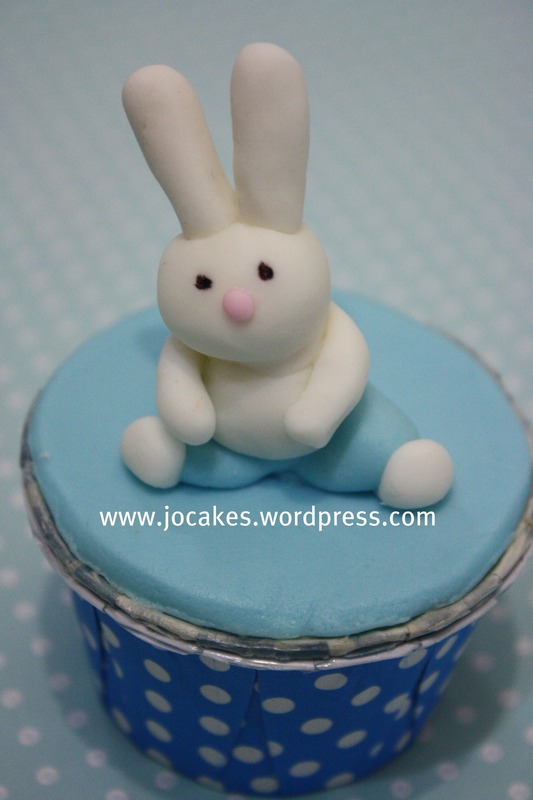 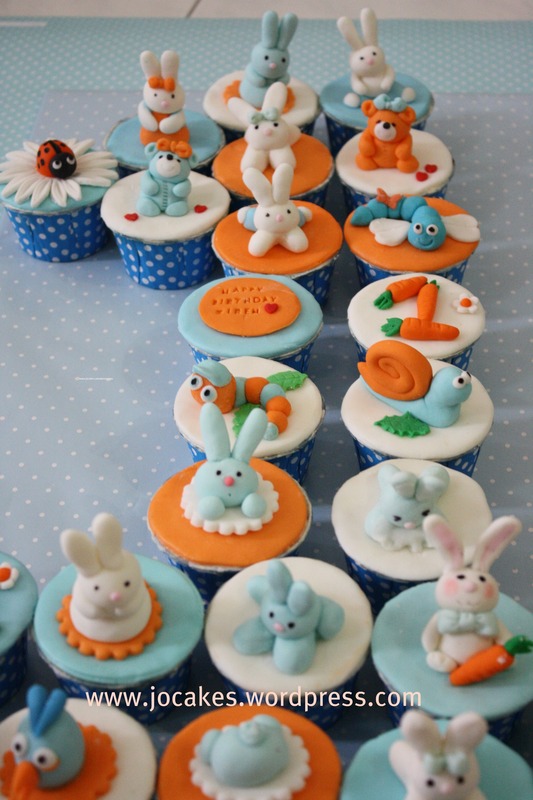 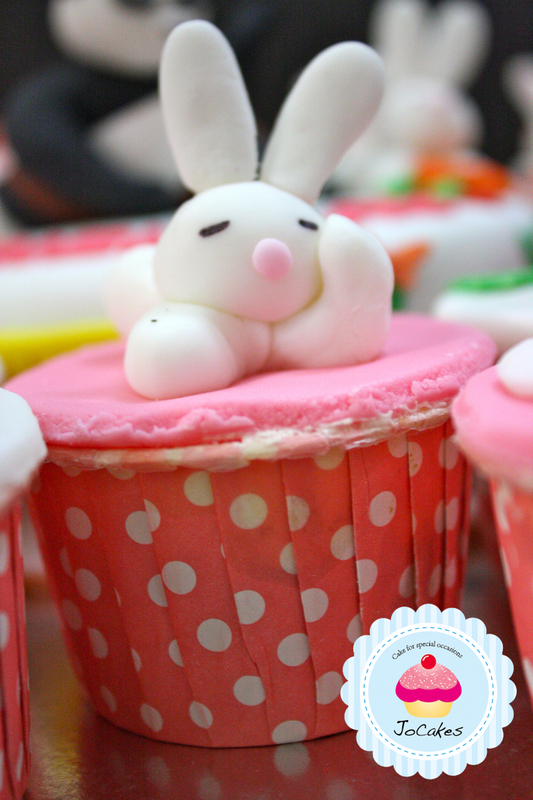 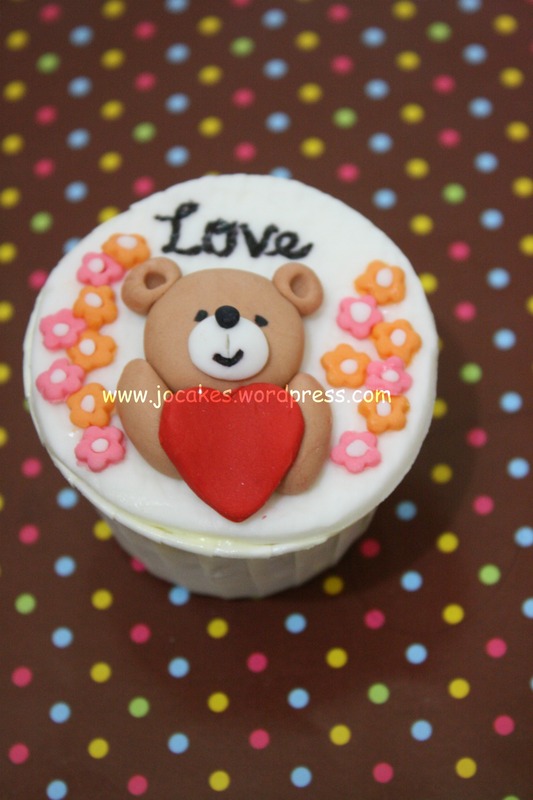 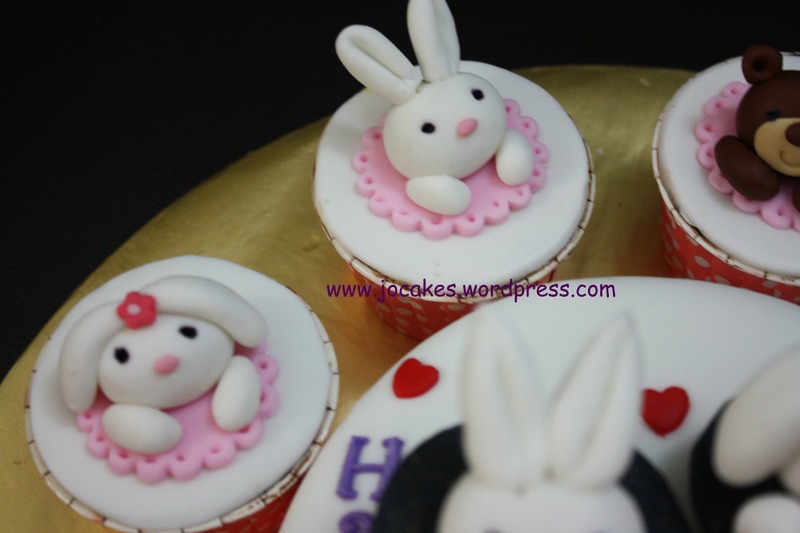 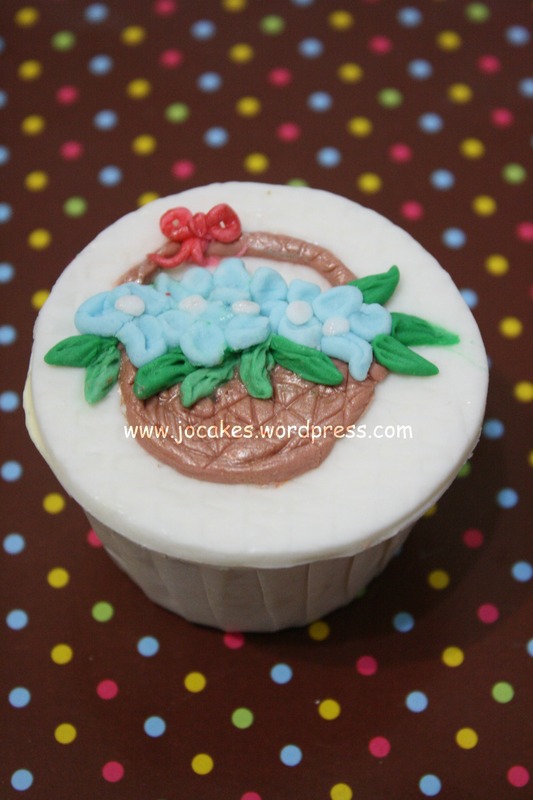 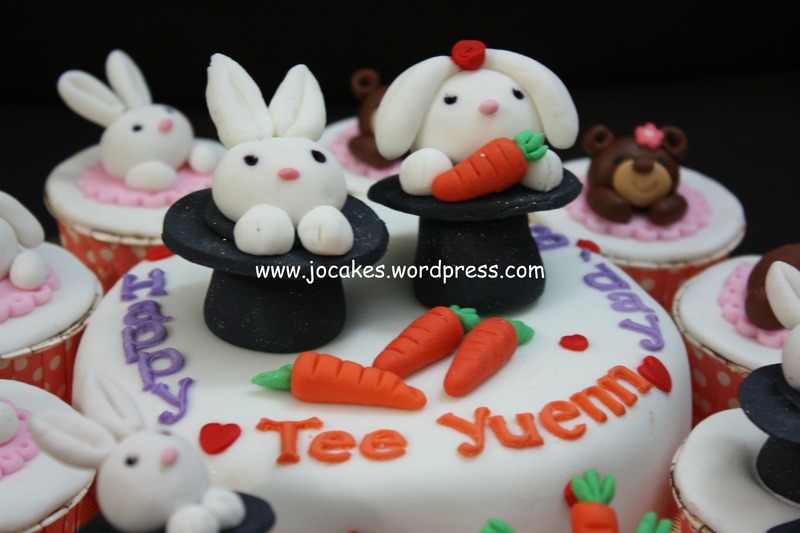 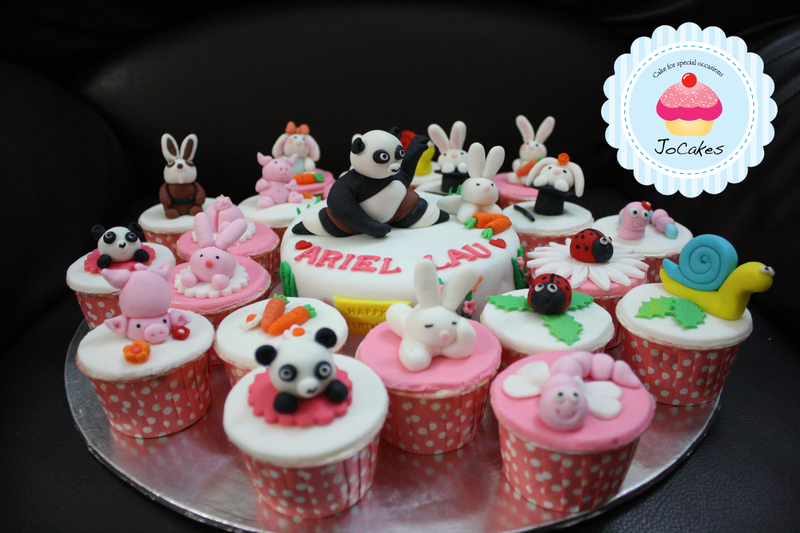 Her mom want’s some bunnies, bears and carrots on the cupcakes and cake as she was born in the year of Rabbit 2011. 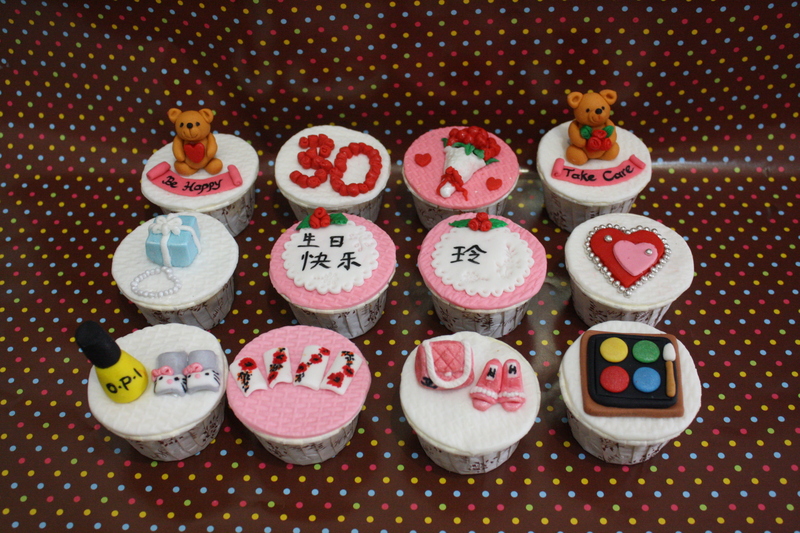 Birthday cupcakes for a 25 year old girl. 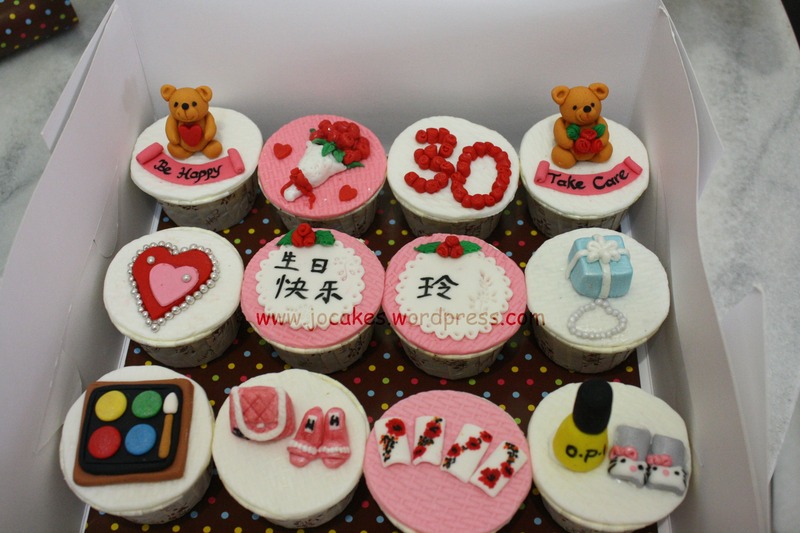 Birthday cupcakes for Skyfish Ong who just turned 25 this March, 2012.